Have you ever wondered about how law enforcement works? Ever felt an interest in our police force? 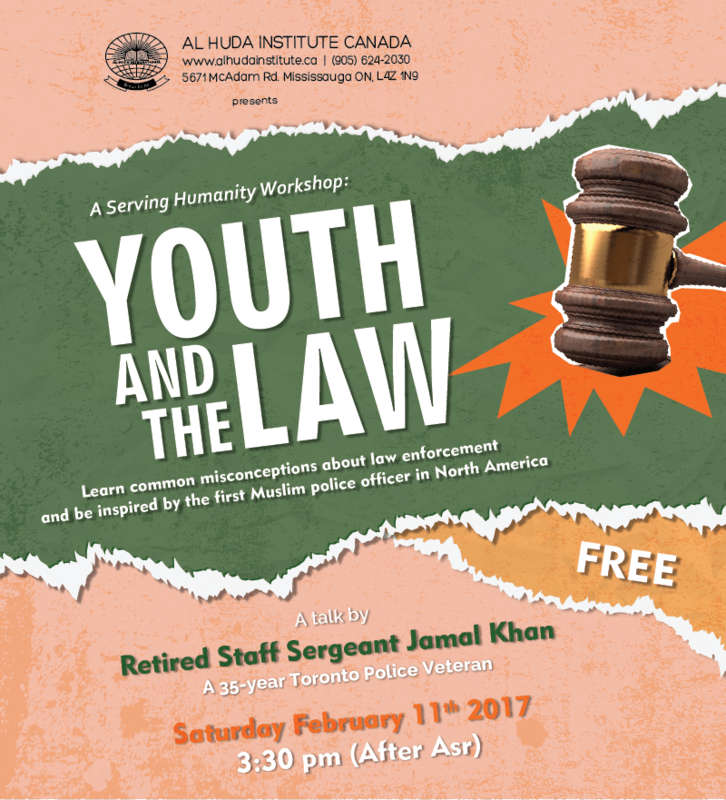 Join us for an exciting program, this Saturday, February 11, 2017 at 3:30 (after Asr), with a special guest: a police veteran of 35 years, as he discusses all this and more. Our Presenter, Br. Jamal Khan, is a recipient of Governor General of Canada Awards for meritorious service. He is also an instructor at The Canadian Law Enforcement Training College.